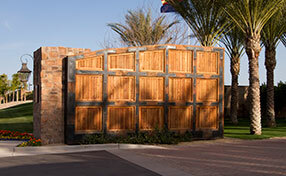 If you need a Calabasas gate company, gate experts Automatic Gate Calabasas are here to help. 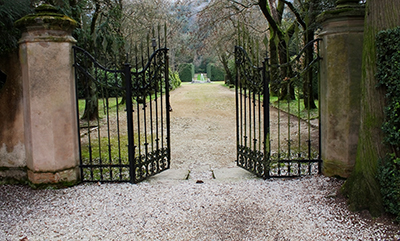 We are a gate contractor that wants to help you install, maintain, and repair your residential or commercial gate. 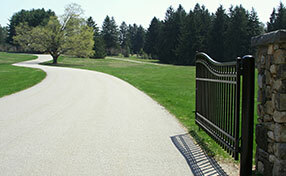 We carry a full line of gates that will offer you the choice and styles you want when making such an important decision. You no longer have to worry about anyone accessing your home through an unsecured driveway. You can make your home look and feel more secure. Yet, at the same time, you can give your home a face-lift that will make it the most elegant residence on your block. The same concept applies to your commercial building as well. 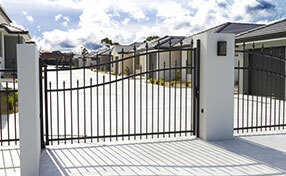 You need a Calabasas gate company that knows how to handle any automatic gate you might have. Our technicians have training and experience with most brands. They also carry a full line of components so they can complete your gate repairs quickly. We are Calabasas licensed – bonded- insured for your protection. Our license shows we work within the legal parameters of contractors in California and Los Angeles County. Our bond is there to protect you from any work that we do not complete. Our insurance is there to insure our workers and work so you do not have that burden. What should you expect from a Calabasas gate company? You should expect professional customer service from the moment they pick up the phone. They should provide full information on their prices and services before they arrive at your home. They should not only work on your gate, but they should also be a licensed Calabasas gate contractor. You should have no issues finding out about their Calabasas licensed – bonded – insured company. You should have professional service form the moment they arrive at your home. They should do the work quickly and immediately. They should give you an estimate before doing any work after completing the diagnosis. 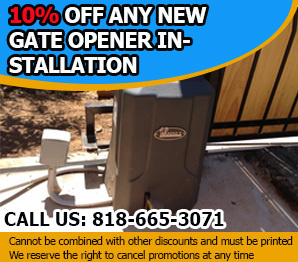 Here, at Automatic Gate Calabasas, we offer our customers all of that and much more. We are the leading experts in gates of all sorts for Calabasas and surrounding communities like Malibu and Woodland Hills. We want to be your Calabasas gate company of choice. If you need a gate company, give us a call. We are here to help you any time of day or night. Our technicians are available for emergencies, regular service, new installations, and many other services.